If listings are the lifeblood of every great real estate career, you’re about to meet one cool idea that will give you more listings than any other real estate flyer we know of. In fact, many of the best agents I know, rely on this flyer all the time. We call it the Street Sign Flyer and it looks like this. Most experienced agents know and understand how many sellers will list their homes for sale when they see another listing nearby. Perhaps they figure more listings creates more buyer interest… who knows? But the fact is it happens… a lot! The Street Sign real estate flyer capitalizes on this phenomenon perfectly. Here’s a quick step-by-step ‘How To’ guide to getting started. Set up an alert on your main real estate portal so you get notified when new listings come on to the market in your area. When a new listing comes through, search it on Google Maps and write down the local streets around the new listing and how many homes are in each street. You want to target people that will probably be aware of the new listing. 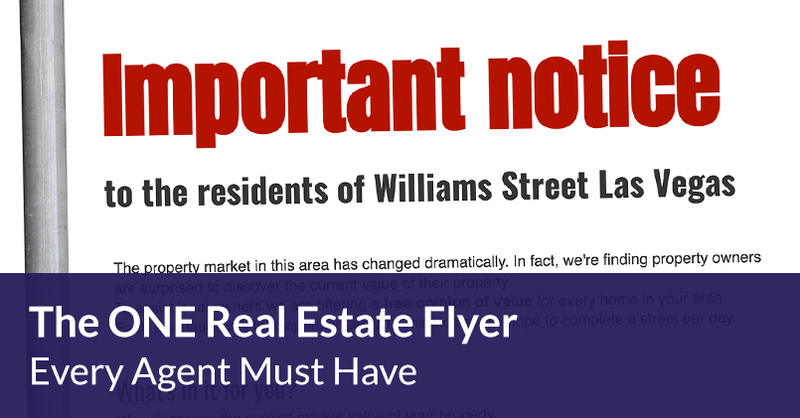 After a new listing has been on the market in your area for about 10 to 12 days, get your flyers out into the streets. That’s it! Rinse and repeat and watch your phone start ringing! If you do this on a regular basis, you’ll get calls. Right now this real estate flyer is the number 1 downloaded template in the whole Jigglar system! They key to making this work consistently is to do it every week. Here’s the thing… right now there are sellers in your area looking for a real estate professional just like you to help them with their real estate solution. 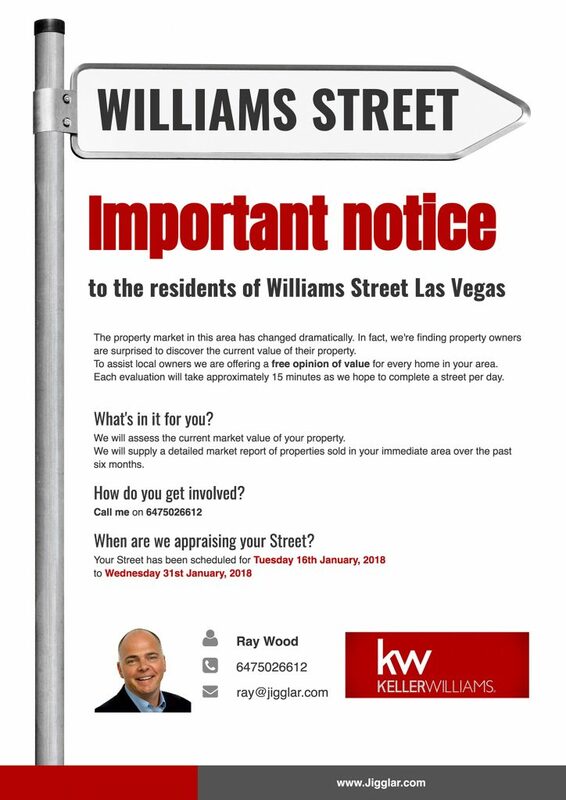 Getting your Street Sign flyers out on a regular basis will help position you as the action-taking agent in your area. This is a formula that works. There’s never been a better time than right now to get started.